The most feature-rich IRC client ever! 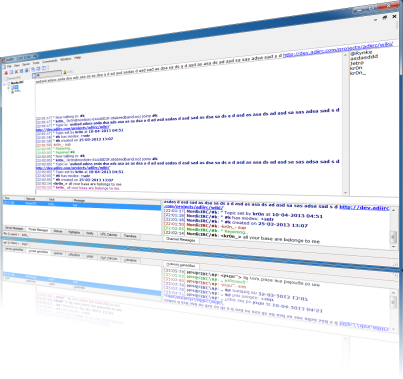 AdiIRC is a freeware IRC client with multiserver support and a highly customizable interface. It offers all the standard IRC features including private chats, basic Identd features, system information, SSL, IPv6, chat logging and DCC Chat/Transfers. It also offers now playing support for various media players, advanced scripting, themes, MTS themes, plugins, and dockable/undockable activity monitors that lets you monitor many channels at once. The program stores all it`s settings in text files and does not require an installation.